From our office on the second story window directly across from the The Hotel Petaluma, we often see people peering into the windows with curiosity of what is going on inside the hotel. So we decided to give you a first hand look at what’s going on. 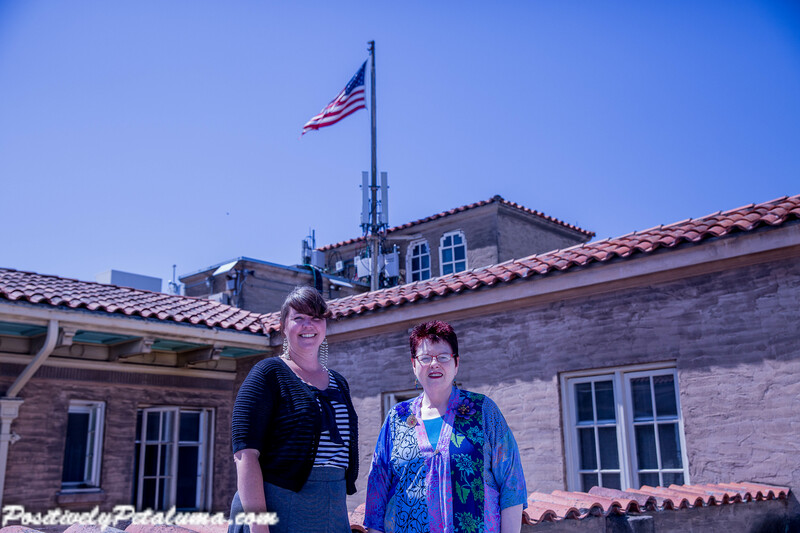 It stands as evidence and proof of the faith which the people of Petaluma have in each other and in their city….. The good news is the new owners are trying to return our iconic hotel back to it’s original design (as close as possible) with some upgrades to the rooms. Some of the rooms that were built dormitory style with no bathrooms in the room. On that floor you would share a bathroom on the floor. They will eventually add bathrooms to each room. For now and in the near future you will be seeing special packages for these dorm style rooms anchored with some of our upcoming events. For example for those who plan to tie the knot at the Rivertown Revival may see special room rates for these dorm style rooms to accommodate wedding parties and their families. The new owners hired a new GM. Not just a hotel GM, but someone who has experience in managing historic hotels in Massachusetts. We met Juli Lederhaus and found that in less than a week she already acquired an intimate knowledge of the hotel and its history. I was at the hotel a couple of years ago. I think it has possibilities! One thing they really need is new windows that fit tightly and cut out noise from Washington. They would need a new heating and AC so you wouldn’t have to open the windows. It would be expensize I’m sure, but this place has a lot of charm. I’m so happy to know they’re honoring the history of this special hotel. And I love the fact that they’re planning to give back the courtyard area that was in the original hotel, well at least as best as they can. I don’t know if the fireplace that my husband painted will remain as is or will be repainted or even removed, but at least we have photos of that project and can remember it that way. I still miss the incredible bayou mural that Carol Salomon-Bryant did when the Cajun Moon Restaurant was there. Now that was some amazing artistry! Thanks for sharing this as I’ve been mighty curious! Thanks for the comment Anastasia – The historic fireplace will remain as is – I don’t know if they have plans to freshen it up with a new coat of paint or not. 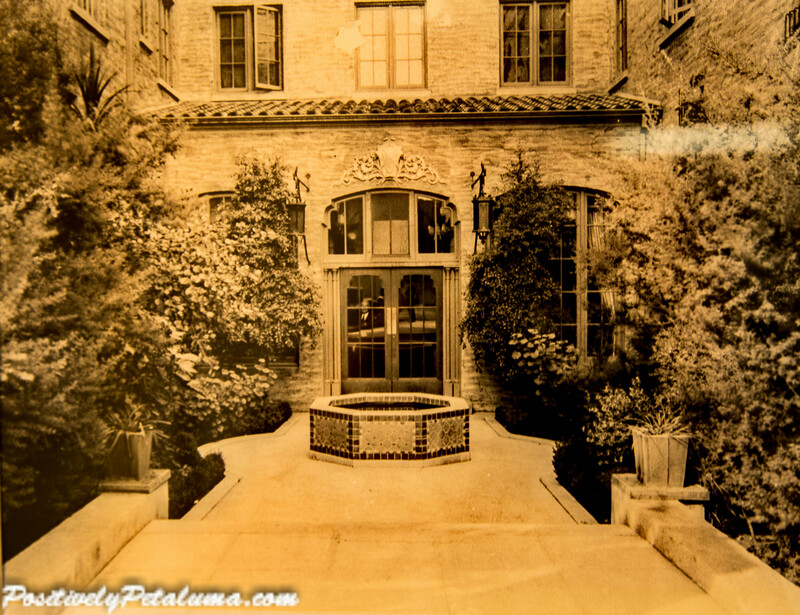 Wonderful to restore this hotel. Will there be affordable rates for low in come people? I know the new GM, Juli Lederhaus, personally. She is very dedicated, and passionate about her job. She will be a great asset to the hotel. I am looking forward to a visit when the renovations are complete! 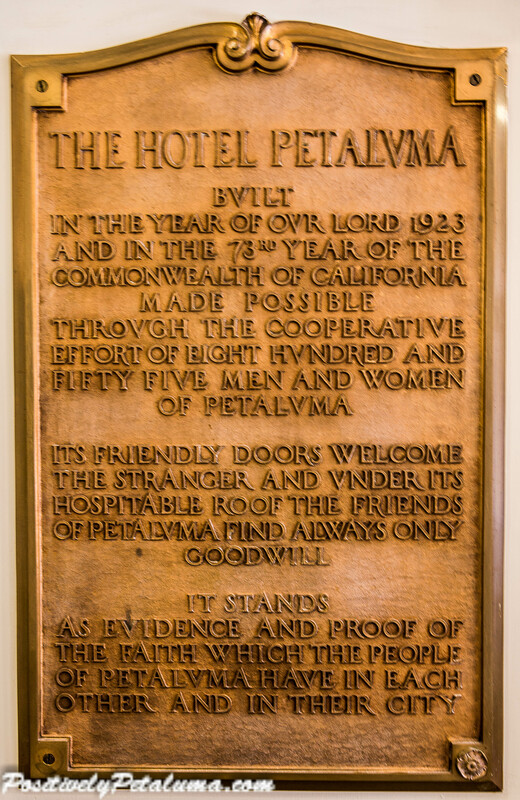 Here’s a video about Hotel Petaluma produced for the previous owners who had a “good run” at bringing it back to where it is now. These new owners are going to REALLY kick it up! Can’t wait!